Last month, I attended and shared my account of one of Corinne Bailey Rae’s private shows here in NYC @ Hiro Ballroom. It was a phenomenal show, with Corinne touching on old tracks, as well as debuting new songs from her soon to be released album The Sea. And what a collection of tracks they are. After the show, I know I was really looking forward to having the full CD in hand. When I ripped that sucker open upon receiving it, I was good to go! Corinne has most definitely put together an exceptional set of tracks and I know I’ve mentioned that already, however, it is worth mentioning again. 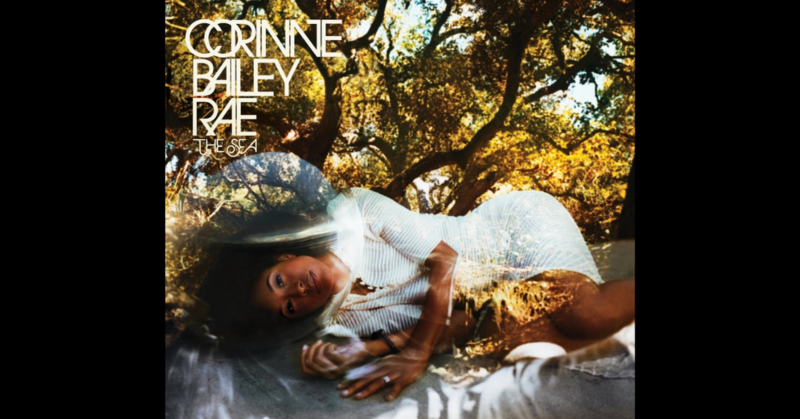 With a veritable mix of soul, jazz, rock and alternative – Corinne keeps it simple, with a melange of genres wrapped up in a neat bow. The climactic ”Are You Here” starts off The Sea on the good foot. The guitar strumming, soft cooing and escalating melody mesh well together. Like a lover reminiscing on her loved one, Corinne pays tribute to her husband. The debut single off the album “I’d Do It All Again” is the type of song you should listen to with your eyes closed, you feel the emotion bearing over you emitting from your speakers. Trust me. While “Feels Like The First Time” has the undertones of a great disco track and “The Blackest Lily” sounds like a track that belongs in a James Bond movie. Psychedelic and funky. I feel like breaking out in a two-step and shimmy when I hear them both. Rock on. Let’s jump to my favourite song on the album, “Closer” shall we? This song had me in a trance the first time I heard it. Touching on how good her lover’s love is, the track is quite seductive and sultry – “I want you to journey with me, explore all the hidden sin…” The horn section is insane and really, that’s all I need to say. “Loves On Its Way” and my other favourite, the syncopated “I Call It Beauty” are simply divine. The uptempo grooves of “Paris Nights/New York Mornings” and “Paper Dolls” transport you back in time, with the tight drum rolls and upbeat UK sound influences. After all the shimmying, it’s only fair to slow it down and take it down a notch. “Diving For Hearts” makes me think John and Paul were whispering in her ears from the inception of the track – “Til then I wasn’t alive/I longed for you like the lovesick moon pulls the tide/So I peeled off my skin/I just slipped right in/And I become alive. I sigh and exhale each time I press play. The title track of the album didn’t really grab me as much as the rest of the songs did. It’s a beautiful song, don’t get me wrong, but the part that really grabbed me was the end. There’s so much symbolism in that verse, it’s unimaginable how one can or should interpret it. And I feel that is what makes it utterly beautiful. The Sea is truly a fitting title for this album. At times melancholy and tumultuous, then sometimes calming and serene. The band and Corinne play and gel so well together. The organ, the guitars and horn sections all come together as one and don’t let up. Each instrument supporting the lyrics and their multitalented writers to the hilt. Ready To Roll And Happy Belated Jody Watley!